in the arena of disability and the built environment for 16 years. 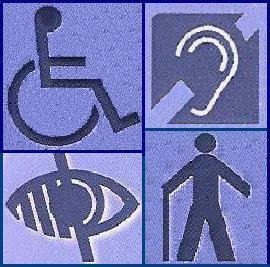 Ian has worked with many industries advising on accessibility and ‘Inclusive Design’ issues. Access Matters firmly believe that meeting the duties imposed by the DDA should stimulate creativity not stifle it, and see meeting the requirements of the Act as an opportunity rather than an obligation. Our management, staff and team of consultants have many years experience in a wide range of leisure, hospitality and service industries dealing with a variety of situations confronting service providers and designers. Our client list extends from High Street retailers to corner shops, multi-national hotel groups to bed and breakfast, health authorities to doctors surgery and financial institutions to local authorities. It is our belief that whether you are a large organisation or an independent retailer whilst your issues will be similar your solutions will be unique based upon your business.